Q. How much do the events cost to enter? 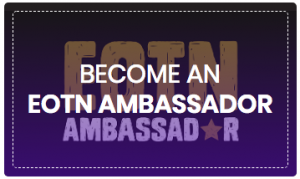 NB: Affiliated is to be a member of a registered running or triathlon club. A card processing fee will be added at the end of registration. Q. Is there a closing date for entry? Q. Can I enter on the day? Q. Which event should I do? Q. Can my kids enter? A. Children over 16 can enter the 10K or over 17 can enter the half marathon. Q. Is there an upper age limit? A. No. All that we ask is that any participant unsure of their physical ability to take part should seek medical advice from a general practitioner prior to the event. Q. I haven’t run in a proper race before? Can I still enter? A. Absolutely! This event is just for you. It may be advisable to try a few shorter runs before the event, it’s not a race against the clock but a fun and safe way for you to find out how enjoyable running is and to hopefully start you running regularly. Q. Will you send me information in advance? A. If you are a UK resident, once you have entered we will send you by post your race number, timing chip & race information pack. Race information packs will be available for download on the website prior to the event. If you are an overseas entrant your pack will be available for collection from Race Information on event weekend. Q. What is included in my race pack? Q. Why haven’t I received my entry pack? A. Race information packs are being sent in batches via the first class post. If you entered after April 23rd you will need to collect your pack on race day from the Race Information Cabin. Q. What do I do if I lose my runner number? A. If you realise prior to the event, let us know via email or telephone and we can arrange for another number to be sent to you in advance for a small admin fee. If you can’t find your number on the day, the event information cabin at the venue will check your entry and issue you will an alternative number. Q. Do I have to collect sponsorship? Is there a minimum I must collect? A. It is not mandatory to run for a charity or collect sponsorship, this is completely your choice. If you would like to run a charity our official charity partner will be announced soon, please email us to request a fundraising pack. Once appointed we will send your details to our charity partner and you’ll be contacted with fundraising advice, but no minimum raise will be requested. Q. Where does my sponsorship and entry fee money go? A. All monies raised for your chosen charity should be sent direct to that charity. Your entry fee contributes to the running of the event and pays for all the site infrastructure, equipment, T-shirts, medals and prizes. Q. Can I take part in the event but donate my sponsorship to an alternative charity? A. Yes. Every runner is free to make their own choice if they would like to run for a personal charity close to them. Where you decide to donate is up to you. Q. Is there somewhere that I can park my car? A. Full car parking details will be updated nearer the event, there will be limited specific parking sign posted as EVENT CAR PARKING location TBC. There are additional car parks within a mile of the start that will be open for runners; the Civic Centre Car Park (accessible from Cowan Terrace, £2 charge), Sunniside Car Park (£1.50 all day fee) and the Bridges Car Park (£1.50 all day fee). Please note St Mary’s Car Park and Livingstone Road Car Park will not be accessible on race day. Please see below link to a full city centre parking map. There is a good public transport service operating within a few minutes walk of the start. Metros will be running to Sunderland and St Peter’s Way. Q. I don’t drive – can I get to the venue by public transport? A. Sunderland or St Peter’s Metro Station are the closest to the start and finish area. Q. If I have been sent my race number, do I need to register on the day? A. No. Assemble at the start 20 minutes before your race start time, wearing your race number (incorporates your timing chip) and join the crowds by the start line. Q. What if I forget my race number? A. Please go to RACE INFORMATION at the venue. One of the team will check your entry and issue you with an alternative race number. Q. What time does the race start? Subject to change – please keep an eye on the website and event emails in the run up to event day. Q. Roughly how long will it take to complete the course? Remember – it’s not a race…. you can take your time. Q. Does the course go on any public roads with traffic? A. Yes the course does take you along public roads, but they will all be closed/segregated to traffic for the duration of the race. Q. How will I know which way to go? A. There will be course signage and marshals at all key junctions to ensure you don’t get lost. Q. Will there be any other activities available? A. Yes there will be a range of activities available including sports massage, refreshments and music along the route and at the start and finish! Q. Will there be any refreshments? A. Water stations will be available throughout the route for all runners and each runner will be provided with water on completion of the course. Isotonic energy drinks will be available at regular intervals from 10km in the Half Marathon. Q. I’m injured can’t run what should I do? A. Oh no and after all that hard work too! We are sorry you are missing out on the event. Please contact info@sunderlandcity10k.com to inform the event team of your withdrawal. DO NOT PASS YOUR RACE NUMBER on to anyone else, it potentially puts them at a medical risk, we have no medical information or emergency contact details for them. The entry fee is non-transferable and non-refundable, however there could be the possibility of deferring your entry to the following year on production of an official letter from your doctor or physio. The deadline for medical deferrals is 4 weeks prior to the race date. Some of the most successful events have happened in the rain. Our events will only be cancelled if there are severe weather conditions. Make sure you are suitably dressed for the event. If it is drizzling or cold in the morning bring a bin bag to put over your head it will keep you warmer and dry before you set off. Q. How difficult will the course be? Take a look at the event information on the website which has a map of the route and a course description. The courses have been designed to be fast and as flat as possible, this will make it great for those wanting to post a fast time and also for those first timers too! Q. Do I have to run the course? We advise participants to run /jog or combine that with fast walking because of the length of time it would take to walk the course. However, there is no restriction at all if you would like to enter and walk. There is a 3 ½ hour limit for the Half Marathon, after which time the event team will ask you to leave the course or run on the paths at your own risk. Please make sure you mention this on your entry form or contact the event team. You’ll be positioned accordingly on the start line. Q. What facilities will be available? A. Toilets will be provided at the start/finish and at each water station on the route. Refreshments will also be available in the start/finish area for runners and spectators at a cost. Secure bag drop marquee will be available for all runners. First aid and sports massage are located at the start/finish. Unfortunately we are unable to provide showers or changing facilities. Q. When will I get my running time? A. Your race will be chip timed. The timing chip will give you an accurate start and finish time, so there’s no rush to be first over the start line when the gun goes! Q. I need to collect my race number on the day where do I collect it from? A. You must collect your race number from Race Information at least 45 minutes before the start of the race. Q. Can someone take my place? A. No. For health and safety reasons we need to ensure that the event organiser has all the details of the runners on the day in case of a medical incident. This is also against UK Athletics rules. Q. Can my dog run alongside me? A. For health and safety reasons we cannot allow any pets to participate in any of the events. Q. How can I get in touch with someone if I have further questions? Q. Can I volunteer at the event? A. Yes. We’re looking for a large team of volunteers to help us with the delivery of the event. Please register you interest by e-mailing info@sunderlandcity10k.com or call 0191 520 5518 (service provided by Sunderland City Council). Q. Why is there an entry fee? A. The entry fee covers all the unavoidable administrative and organisational costs that make sure the Sunderland City 10k and the Half Marathon events are safe and enjoyable. Q. I can’t run the race now can I have a refund? A. Your entry fee is invested in the cost of staging the event with the fees covering contractors, suppliers and administration costs. The entry fee is non-transferable and non-refundable, however there could be the possibility of deferring your entry to the following year on production of an official letter from your doctor or physio. The deadline for medical deferrals is 4 weeks prior to the race date. Q. Why can’t under 16s take part? A. Unfortunately, due to health and safety, UKA rules and legal reasons, we cannot accept entries from under 16s in the 10k or half marathon. Q. How secure is the event website? A. This website is on a secure server. All the transactional areas of the website including entering events, paying in sponsorship and donating use industry standard 1024 bit SSL encryption. Q. Is there a running community out there training for the event? A. We have a great following on Facebook and Twitter (@MarathonofNorth and @Sunderland10K). There are regulars chatting about the event and sharing training tips. Come and join us. Q. I am a local resident, how is this going to impact me? Q. How can I get involved? 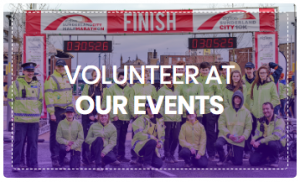 Run clubs, charities and groups: Key areas such as a water station or busy road junction will need a small team of volunteers. We invite your club or group to ‘own’ one of these key areas. Work as a team and take responsibility for an area. Bring along club flags or branding and collect for charity. Q. I would like to offer a discount over the event weekend as I think I may be able to attract some additional business, can you help? A. Great idea and with an additional 5000 runners plus their support in the City it is an ideal opportunity to maximise on sales. We would love to help communicate what you would like to offer. Please keep the offer simple. Email info@sunderlandcity10k.com with your business details, contact details and the offer you would like promoted. We will be in touch and start communicating through our Social Media. Q. I have a business on the route where the roads are closed, this is going to impact me. A. We appreciate that the event may inconvenience certain residents or businesses. We are operating a rolling road closure programme designed with and approved by Sunderland City Council and as such will impact individuals for the shortest time possible to ensure the safety of those participating in the event. All businesses affected by the event will receive an information leaflet explaining which roads are closed, for how long and how you move round. A full road closure schedule will be posted online when it has been signed off by Sunderland City Council. Disruption will be kept to a minimum and a rolling road closure and reopening schedule will be in place on the day. Final SMUFS session now booking!